If, to you, "furniture polish" means a spritz of lemon-scented chemicals from a petroleum-based aerosol can, we have wonderful news. 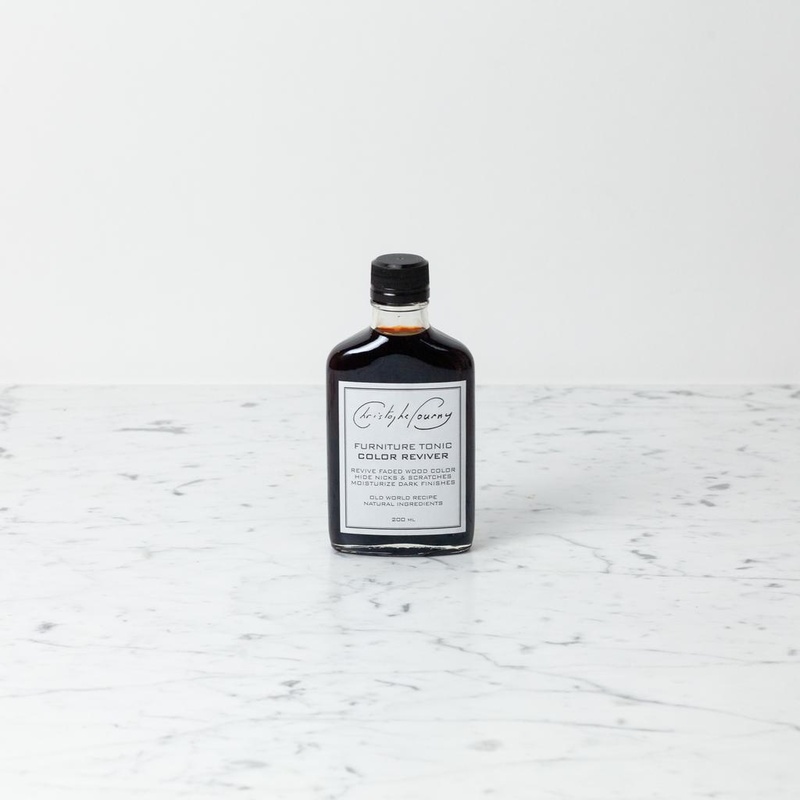 This magical furniture-care tincture was designed by an expert-Frenchman-furniture-restorer after decades of being asked repeatedly how to deal with water rings and cracked veneer. 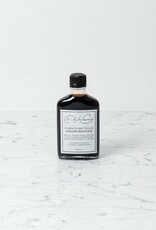 Made in Brooklyn, NY, this all-purpose Color Reviver tonic is made to polish and shine darker woods and finishes. Its all-natural, small-batch formula is hand-mixed by restoration artisans and experts and poured into a glass vessel. With no harmful chemicals or petroleum distillates, this is richly scented with the organic essences of its all-natural proprietary ingredients: rosemary and tea tree, linseed and walnut, beeswax and lavender. It ain't the Lemon Pledge we grew up with, but growing up means discovering new, better things. Go forth and polish proudly. To use: Apply to clean cloth and rub on wood surface. Wipe on and off. Will dry naturally. To remove heavy build up: wipe on/wipe off with pressure. Can be used on Cherry or darker wood to cover scratches and nicks, and can also revive faded tones of sun damaged furniture and restore luster to tired finishes.